Ogasawara family is a lineage of the Seiwa Genji. The 1st headmaster, Nagakiyo Ogasawara was born in Koshu (nowadays it is known as Yamanashi prefecture) in 1162, his father was Kagami-jiro-tomitsu, his mother was a daughter of Wada yoshimori. The Ogasawara village had been really existed, however, the name changed and it became the Minami Alps city. It has been said that the surname "Ogasawara" was provided by the Emperor Takakura and Nagakiyo is an ancestor of all the families named "Ogasawara" today. 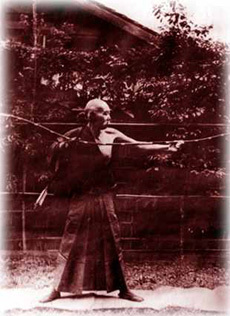 When Nagakiyo was 26 years old, he became Minamoto-yoritomo's personal teacher of mounted archery and manner. Minamoto-yoritomo is a founder of Japan's first warrior goverment. The Ogasawara family served the Shogun of the Kamakura era (the Minamoto shogunate), the Muromachi era (the Ashikaga shogunate), and the Edo era (the Tokugawa shogunate) as the martial teacher. Kiyokane served the Tokugawa shogun and in 1862 he totally organized the royal wedding of Princess Kazunomiya, a sister of the Emperor. 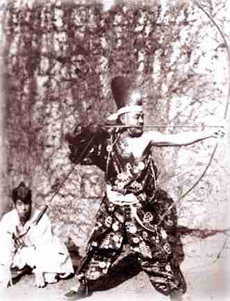 In 1879, he dedicated the Yabusame ritual at the Imperial Palace. His Yabusame ritual was watched by Emperor Meiji at the Ueno Park. In 1880, Kiyokane opened the Ogasawara school to the public in Kanda Tokyo and he taught etiquette at the girls schools. Kiyoaki dedicated Yabusame ritual to celebrate the establishment of Meiji Shrine in 1920. He revived the Yabusame ceremony at many shrines like Tsurugaoka Hachimangu Shrine, Nikko Toshogu Shrine, Kasama Inari Shrine, and so on. 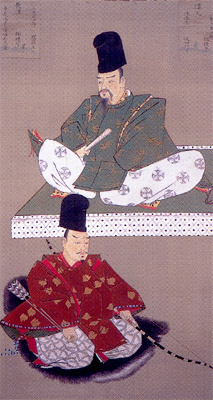 Kiyonobu dedicated the ritual Yabusame ceremony at many shrines. 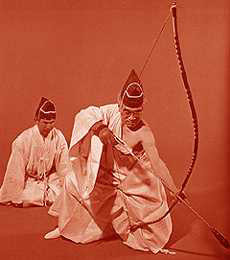 And he also dedicated other ritual archery ceremonies, Ohmato-Shiki, Momote-Shiki, and Kusajishi-Shiki. To teach Ogasawara-ryu for a living is strictly prohibited by the family tradition for the purpose of passing on Ogasawara-ryu correctly. So, he worked as a professor of Meiji University.